Well our trip over to Sierra del Carmen was a mixed blessing. Our trip started as planned,but later after picking up our first traveller,it turned a little sour. One of our coolers fell from the truck on a U-turn, we did not noticed it because my truck is so big and with the new engine,it revs up so many RPM's that we saw it until we picked up our next friends in the the town of Allende. So other than the meats, we had to buy everything once again,bummer. I have tons of pictures,almost 370 on my end,some videos i need to load up (sorry,there will be no music in them) and i need to gather pictures from my other buddies as well to share them with you all.Specially the ones from Gilbertosl,who is an excellent amateur photographer. The temps over the Puerto Rico mine,plunged 20 degrees easily at dusk and the site is spectacular to have EL Pico just above us. The strenous conditions of the road up,took a toll on my F-350 and the jeep that went along for the trip. I came back in one piece but we had to haul the jeep back to town. It is part of the adventure. So folks,it is good to be back again,i just got caught up with the current issues on the board,now to upload the pictures and videos and start the thread. 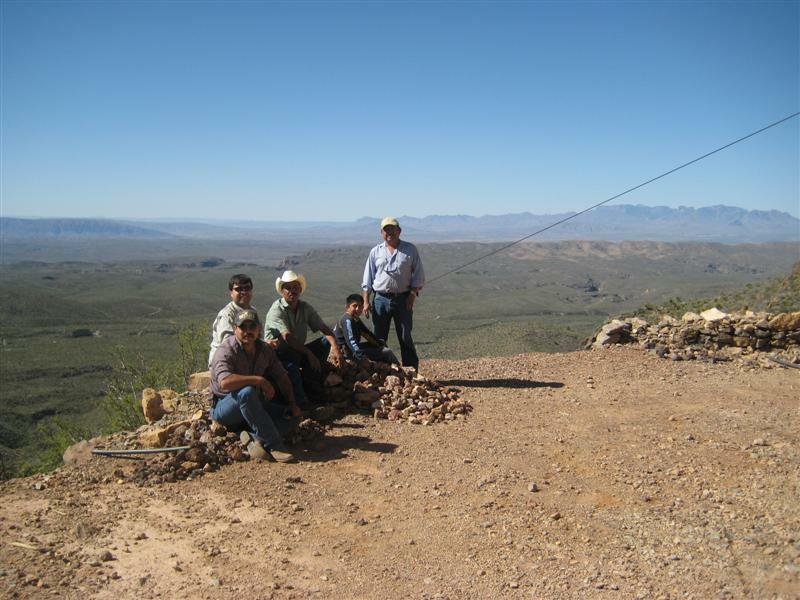 Technology is excellent ,over in the desert and things are beggining to pick up in Boquillas del Carmen. Right now is IMPOSSIBLE to go up to Sierra del Carmen,due to the fact that the rcent desert rains washed out completely the ONLY entrance to the area called El Jardin ,the garden. 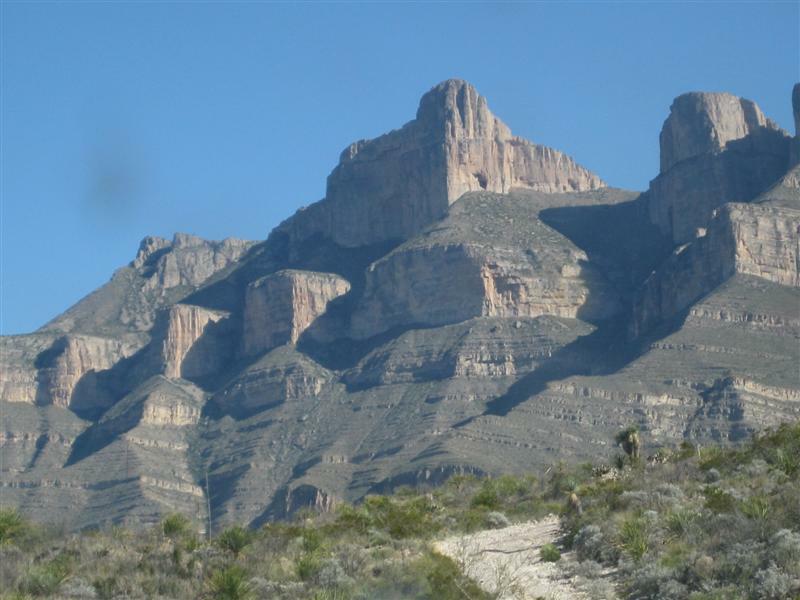 So the only way in right now is to go thru the other side of SDC and go up thru a private ranch,which the owner happens to live in Piedras Negras,so another trip could be schedule for the near future...ro Big Bend. Well, let me get to the uploading part and will start to post right away. BTW,if you have noticed, my username has chnaged from Homerboy2u2 to homerboy2u...just FYI. You're as bad as me, Homero...give us a teaser and walk away! Fellas...I even have Detailed Waypoints for you to follow it on Google Earth: Basecamp,floor level for the Puerto Rico Mine,The Tunnel...all the villages around Boquillas del Carmen,Sat-Phone Numbers,i did my homework for all of you guys and gals. Videos of the Mine and the ruins where they used to do the smelting, before sending the ore over thru the terminal basket system to the Mariscal Mine smelting operations?. Ancient stuff,if you ask me,i was inside of the blast furnace....guys!,let me get out of here,please and finish my stuff!!. The picture sizes are displaying fine on my computer... they look great!! Please upload more as that is an area most of us here will never get to see for ourselves. Moderator note: you should've seen them when they were over 3000 pixels wide! I'm glad you had a good trip, Homero. I can't wait to hear more! Hey Doc Roy...maybe it would be a good idea if you could contact Joelg, for this thread,with his report on Hi from the Ore Terminal, was the the one that spark my interest to go and visit this area,i am pretty sure we could get a lot of insights from him,given that he has done a lot of research of this area and could contribute to this trip report. I know he has not posted since, but i think it would not be a bad idea,if you could get in touch with him and invite him over. Folks, i am almost halfway thru with the pics and videos, i want to get to it yesterday...almost done here. Hey Doc Roy...maybe it would be a good idea if you could contact Joelg, for this thread,with his report on Hi from the Ore Terminal, was the the one that spark my&nbsp; interest to go and visit this area,i am pretty sure we could get a lot of insights from him,given that he has done a lot of research of this area and could contribute to this trip report. The Ore Terminal was also discussed within this thread. ....DONE !!!!!........ I thought i never see the end of it. BK, Homero is hard at work to share pictures and video but has run into a few technical problems. Patience, por favor. He's all over it . . . time is relative, the desert is unchanging. O.K....this is so lame, but i have been very busy here and swamped with work ( yeah i know, blah blah blah) in order to start my trip report. In the meantime,i want to post my fiend Gilberto Sanchez's pictures to calm everybody's jets?...God, i love this board , so to speak. ...while i write my detailed trip report.Folks,again pictures,videos and waypoints...i have it all, and as always i will need your help on this to put up more information, for all to share..ok?. So?, here is the link to start enjoying some spectacular pictures from Gilberto Sanchez, with his new Panasonic Lumix camera...enjoy. .........I shall return!! !...onward,thru the fog! Homero, it's great to see the mine shots from below El Pico, it's also great to see the Boquillas Bar is still operating. It's sad to see Joe Falcon's place shut down.